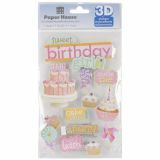 Paper House 3D Stickers 4.5"x8.5" - PAPER HOUSE-3D Sticker. These stickers literally pop right up off of the page. It is a fun way to accent any project. 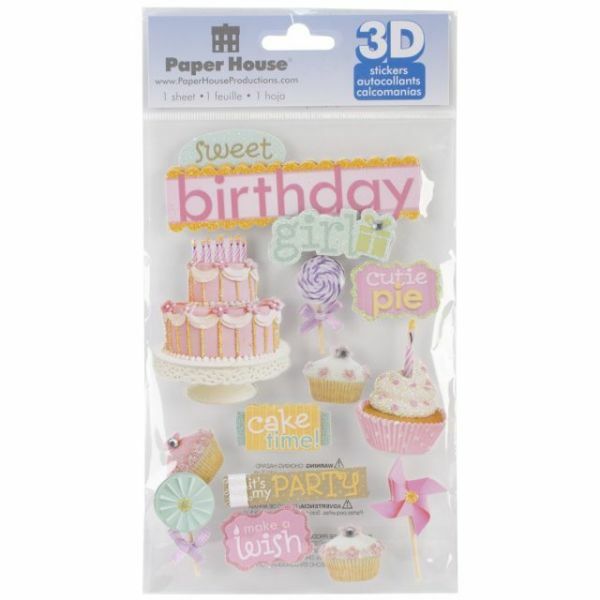 This package contains a variety of stickers on a 4-1/2x7 inch backing sheet. Design: Sweet Birthday Girl. Imported.